Its a quite tough game in semi final first leg at stadium Ismail Nasaruddin Shah, kuala Terengganu . Based on records, JDT have played 14 matches against Terengganu FC since 2013 in the FA Cup, Super League and Malaysia Cup. JDT have won 11 matches, drawn two and losses one, scoring 27 goals and conceding only 7 goals. Personally, I can feel the match against Terengganu tonight will be full with fans. I have been waiting for the match against Terengganu to prove my commitment and I feel there won’t be any problems during the match. I am from Terengganu. For me, we need to be professional in giving the best for our current club. There’s no emotional bias in my heart because I want to help the team I serve now. Regarding my performance in the previous match against Pahang, I was fortunate and I have to thank the coaches, team-mates and fans for the help and support. Surely I want to give my best in tonight’s match to get the away goals as an advantage for the return match at the Larkin Stadium. Safawi Rasid, Johor Darul Ta’zim FC Player. The match against Terengganu will be a tough match and we are aware of that. We have played against Terengganu before but this time it will be a completely different match. They have several great players. But that’s not a problem for us because we will give a good fight. I believe if our players played like how they did against Pahang last week, victory will be on our side. For now, all players except for Fernando Marquez are in the best condition and can feature in the starting line-up. We will play with the Johor Darul Ta’zim FC (JDT) way and tactics. We will try to win the match tonight and always be on the attack to create goals at the opponents’ home. JDT will not change the playing style because we will always attack. Regarding Safawi Rasid, I’m not too surprised with his performance in the previous match because he is indeed a great player. We can all see how his performances are getting better in every match. We hope he can do his best in tonight’s match. Luciano Figueroa, Manager and Head Coach of Johor Darul Ta’zim FC. 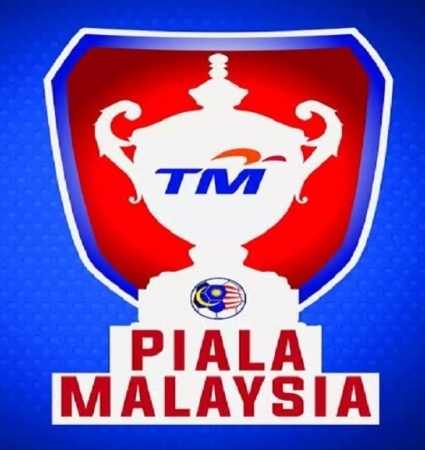 Catch the match between Terengganu FC and Johor Darul Ta’zim in the unifi Piala Malaysia 2018 Semi-Finals 1st Leg this Saturday, 6 October 2018. The match will take place at the Sultan Ismail Nasiruddin Shah Stadium, Kuala Terengganu at 9.00 pm. Let’s show your passion and support as Southern Tigers fans.